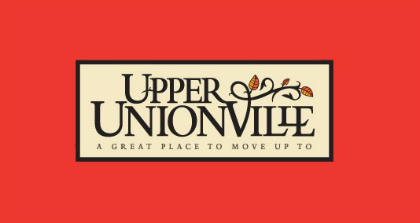 Upper Unionville Sales Centre Now in Model Home! Attention: Those looking for a new townhome or single in Markham – Fieldgate’s Upper Unionville sales centre has moved to a new onsite location in our model home! The new sales centre is located at 19 Aksel Rinck Dr., near Kennedy and 16th Ave. To visit us, travel north up Harbord St. from 16th Ave., turn left on Beckett Ave., then right onto Aksel Rinck Dr. You can also call 905-477-6464 for directions and to receive more information about the five remaining homes at Upper Unionville. There are only four freehold towns available. And for one lucky purchaser, there is a 3,384 square foot, 42’ single available. 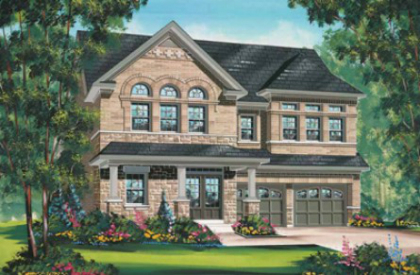 The single is the Springwood Lot 350 model; it features a two-car garage, a covered front porch, elegant columns, and beautiful stone detailing. The 4-bedroom home has options for a second floor den, many high quality decor upgrades, and even a walk-up basement. When we launched the final phase at Upper Unionville last September, hundreds showed up, many of which came a few days before to claim their spots in line. We’ve seen some pretty long line-ups for our communities, but that release definitely holds the record!